How long have you been in this industry and what caused you to pursue a career in it? I have been a veterinary surgeon for over 18 years in practice. I underwent a residency in small surgery at Virginia Tech and became board-certified by the ACVS in 2006. 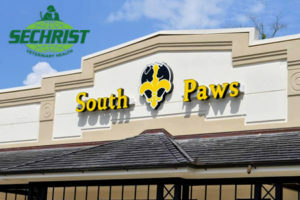 After practicing for a few years at another practice, we started South Paws Veterinary Surgical Specialists and quickly became a leader in veterinary small animal surgery, regenerative medicine, and veterinary rehabilitation. I was first introduced to hyperbaric medicine in 2016. Very quickly I was amazed at what a benefit it was to our post surgical patients and patient rehabilitation. What made you decide to use Hyperbarics on animals? In 2015, I read a book entitled “Oxygen Revolution“, by Dr. Paul Harch, a leading expert in the field of human hyperbaric medicine. 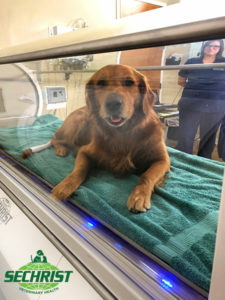 I was really impressed by how many neurological conditions he was using hyperbarics for and how many of those applications could be easily be applied to animals in the same way. Interestingly, after reading Dr. Harch’s bio, I learned that he lived only about 30 minutes away from South Paws. I invited him out to the clinic and we discussed hyperbaric medicine at length. He was very encouraged and supportive of our pursuit of hyperbaric medicine in veterinary patients. After our discussion, I was very convinced that HBO therapy could be implemented into the treatment plans for most of our surgical and rehabilitation patients. Was it difficult to get set up with Hyperbarics? Can you help us dispel the myth? 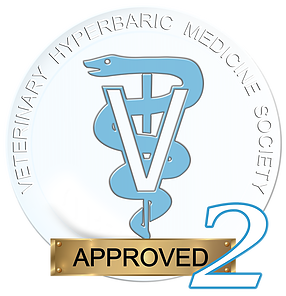 Implementation of hyperbarics in the veterinary practice is very easy to do. One of the most critical first steps is education and understanding how hyperbaric medicine works. This is a long-standing treatment that has thousands of research articles proving its benefit. The United States military is one of the leading researchers in this medical modality for over 60 years. There are several hyperbaric medicine textbooks in human medicine, that are purely dedicated to this medical specialty. Additionally, there is a board certification specialty for hyperbaric medicine on the human side. Once there is a good understanding of how HBO therapy benefits our veterinary patients, the decision to use it in practice becomes very easy. The second step is choosing an appropriate chamber, that is large enough to treat all sizes of animals in your practice. The Sechrist SV500 hyperbaric animal chamber is a perfect choice compared to other chambers on the market. It is large enough to treat multiple patients at the same time and has the ability to treat animals as large as 180-200 pounds. Additionally, visualization in this chamber is excellent and patient monitoring is very easy. Another huge plus to the Sechrist chamber is the ability to run IV fluids and perform ECG monitoring while the patient is in the chamber. I also love that this chamber has the ability of dual function, so that it can operate as both a hyperbaric oxygen chamber and a free flow oxygen cage. This is ideal for veterinary practices where space may be limited. Additionally, the cost for a new Snyder Oxygen Cage can be as much as $15,000-$20,000. This adds a lot of value to the Sechrist chamber. There is some build out that is required for oxygen management and chamber set up, however in most cases this is a fairly simple process. Additionally, a company like Sechrist can help provide all the contacts and organization for contractors, making the buildout simple. Once the chamber is installed, marketing is very important to make your clients and referring veterinarians aware of the benefits, through education and demonstration of HBOT benefits. We provide both written and video materials to both new clients and our referral partners, so that they can quickly understand the benefits of hyperbaric medicine for their patients. In my experience, most clients are very eager to add this option as a part of their pet’s treatment plan. With good explanation of HBO benefits to the client, most are eager to have their pet undergo this therapy. It definitely has NOT been difficult to get owners on board with hyperbaric treatments. When did you first start using Hyperbarics to treat animals? We first started using hyperbarics in 2016. The first month we implemented it into our practice, we performed more than 80 treatments. Currently, we perform between 150-200 treatments per month. What type of animals do you service, mainly dogs and cats? What are the largest animals you have put in the chamber? Currently, in my practice, we treat both dogs and cats. A 189lbs Mastiff is the largest dog we have treated and would only fit in SV500. We have always been open to other animals that might benefit from hyperbaric oxygen. Currently we are talking to a group about possibly treating sea turtles. What ailments do you currently treat? Inflammation, snake bites, etc.? pre-conditioning? Pancreatitis. My rule of thumb in deciding what should be treated is based on 2 principles. The first, is there a inflammatory process? The second, is reperfusion injury likely in this condition? If either of those 2 questions are answered yes, then the current science and literature supports HBOT use. The basic science of how hyperbaric medicine works is invaluable in the treatment of these conditions. 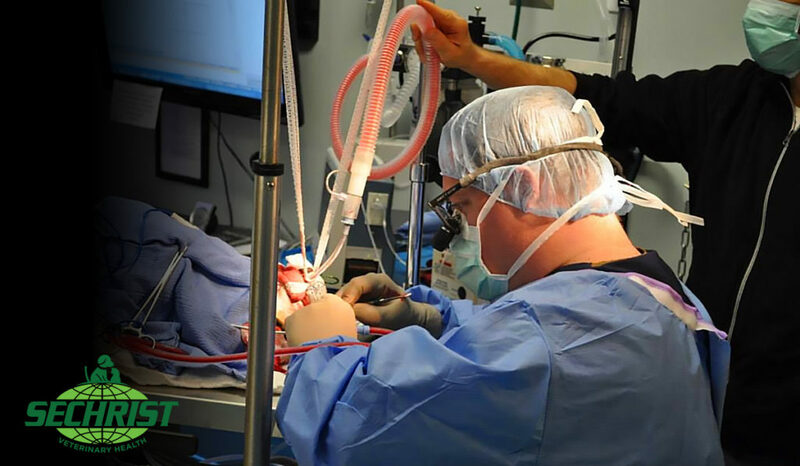 Currently, we treat all of our neurosurgical patients (typically both pre-and post surgery), including intervertebral disc disease, fibrocartilaginous embolism, spinal fractures, brain tumors, meningitis, GME, and vascular stroke. There are numerous articles in the literature supporting the use of hyperbaric oxygen in acute spinal cord injury. In regard to our orthopedic patients, almost all of our patients undergo preconditioning hyperbaric oxygen. Preconditioning HBOT is performing 1-2 hyperbaric oxygen treatments prior to the patient’s surgery and 1-2 treatments postoperatively. This not only has anesthetic protective effects on the tissues, but greatly decreases the inflammatory process and reperfusion injury during surgical procedures. We have found that for our orthopedic patients, there is a significant decrease in limb edema, swelling, bruising and improved pain control. Most of the patient’s use their limb faster and have a quicker return to function. This preconditioning hyperbarics is an excellent addition to Tibial Plateau Leveling Osteotomy surgery, Tibial Tuberosity Advancement procedures, fracture repairs, patella luxations, arthrodesis procedures, etc. There are also numerous articles showing the benefits of preconditioning hyperbarics in the human literature. We also use hyperbarics for numerous general, soft tissue surgical procedures. This includes treatment for both gastric dilatation volvulus, intestinal foreign bodies, peritonitis, traumatic myocarditis, pancreatitis, skin and reconstruction (axial pattern flaps, skin grafts, transposition flaps), wound management, burn management, and in conjunction with stem cell/PRP treatments. How has a hyperbaric chamber impacted your business? Has it increased your patient referrals? Has it increased your income? A hyperbaric medicine service can greatly improve your business model. Not only is it a great medical tool that can improve patient outcomes and reduce patient morbidity, but it can also be a great revenue center for a veterinary practice. My recommendation to any practice owner that is interested in hyperbarics, is to purchase the chamber out right. While it might be attractive and less stressful to enter into a “pay per use” program, in my opinion, this will greatly hinder the HBOT service from being a profitable center for the practice. If the chamber can be purchased out right or even financed, financially the numbers will be much better for the practice than with a “pay per use” program. However, with that said, for new or smaller practices where purchasing a chamber out right may not be feasible or where financing is not an option, the “pay per use” treatment plan is a GREAT way to get started with hyperbaric oxygen in their practice. 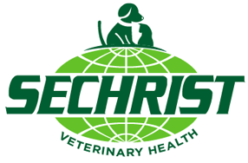 Additionally, Sechrist offers one of the BEST pay per use treatment plans out their available to veterinarians. Not only are the per treatment costs low, but there is also a portion of each treatment that Sechrist puts towards the buyout of the chamber in the future. That is a great incentive for veterinarians that other manufacturers don’t offer! Is your entire staff trained in using the chamber? No, we currently have two CHT-Vs, both myself and Catherine. We have 2 more technicians going to the ATMO course in February, that will also become CHT-Vs. Besides that, we have 4 other RVTs that are trained and approved to use the chamber. We have 26 techs in total. No, we currently have two CHT-Vs, both myself and Cat. We also have 2 more techs going to the ATMO course in February, that will also become CHT-Vs. Besides that, we have 4 other RVTs that are trained and approved to use the chamber. We have 26 techs total. What is your healing rate/ success rate in the use of hyperbarics? Obviously, hyperbaric medicine has significantly improved our patient outcomes with both neurosurgical, orthopedic, and soft tissue injuries. Our clients love that their pets can have such state of the art care and also appreciate the extreme benefits they see in their pets when they return home. One example of where we have seen dramatic differences is in the treatment of intravertebral disc dogs that presented to us “deep pain negative”. The typical prognosis for these patients is that 50% will return to ambulation with surgical decompression. However, currently our patient collection has shown that 14\18 deep pain negative dogs (78%) recovered the ability to ambulate with surgery combined with preoperative and postoperative hyperbaric oxygen treatments. This is a considerable improvement over the well accepted prognosis for these patients. What new things do you plan to do with the Sechrist Chamber that you couldn’t with your previous chamber? More animals at once? Patients on IV? One of the biggest things that I was impressed with the ability to monitor our patients while in the chamber. The acrylic gives us full visualization at all times, versus having to look through small ports in a steel chamber. Additionally, having the option to treat with IV fluids and/or monitoring ECG is of huge benefit to our more critical patients. Previously, I was limited to the size of dog that we could treat. About 100 pounds was the largest patient we could fit in the chamber. However now, I’m able to treat patients as large as 200 pounds with no issues. Another huge benefit is the ability to treat multiple patients at one time. We often have a lot of intervertebral disc dogs here in the hospital. We can treat 4 of these dogs, during one dive, which greatly improves the work flow efficiency, reduces the cost of treatment, and improves the bottom line. New Orleans native Dr. Robert Hancock graduated from Mississippi State University College of Veterinary Medicine in 2001. He completed a one-year medicine and surgery internship at the University of Missouri-Columbia in 2001 followed by a three-year surgical residency at Virginia-Maryland Regional College of Veterinary Medicine in 2005. He is certified in the TTA & TPLO procedures, Penn Hip, Kyon Cementless Total Hip Replacement, and Hyperbaric Veterinary Medicine. He is trained and certified in PRP (platelet-rich plasma) and BMAC (bone marrow aspirate concentrate) cell therapy with Companion Regenerative Therapies. Additionally, he is certified in Stem Cell Therapy through VetStem and Medivet. Dr. Hancock’s areas of specialization include orthopedics and sports medicine, canine rehabilitation and pain management, orthopedic regenerative medicine, and hyperbaric medicine. He has a special interest in knee stabilization surgery (including TPLO and TTA procedures) as well as minimally invasive surgery. Dr. Hancock is published in a number of peer-reviewed veterinary journals and his research publication was awarded Best Clinical Research by the American College of Veterinary Surgeons in 2005. Additionally, Dr. Hancock fulfilled the rigorous requirements to earn board certification status by the American College of Veterinary Surgeons in 2006. He is a member of the Veterinary Orthopedic Society, the Society of Veterinary Soft Tissue Surgeons, the American Canine Sports Medicine Association, the Veterinary Hyperbaric Medicine Society, and the North American Veterinary Regenerative Medicine Association. 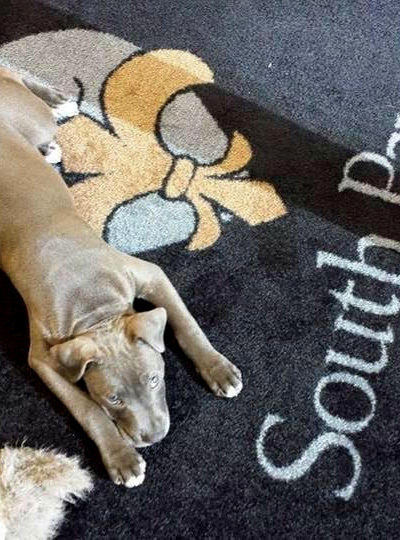 He is the owner, hospital director, and a practicing board-certified surgeon at South Paws Veterinary Specialists. Dr. Hancock’s wife Jennifer, a Registered Veterinary Technician, is the head technician at South Paws Veterinary Specialists. They have a beautiful daughter named Madison.